Every business craves for publicity, irrespective of its size and stature. If done right, it is an absolute gold for any business, online or otherwise. However, it remains a mystery to most businesses. For instance, many believe PR is separate from affiliate marketing. But in reality, they are complimentary and need each other. For an eCommerce business, it is utmost important to communicate with shoppers on a regular basis to create mutually beneficial relationships. For example, while online retailers can leverage PR (via social media) to understand the “temperature” of their target audience, shoppers find PR helpful in terms of gathering information about the brand. 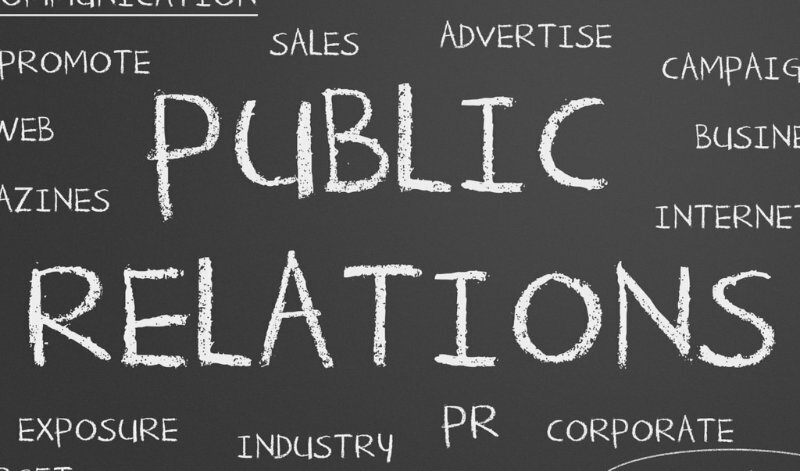 In short, PR is the ideal tool not only to inform and guide buyers but also to engage them in the best possible ways. With proper PR, you are more likely to convert your traffic to become first-time shoppers and even and possibly to lifetime buyers. Here are 3 PR strategies to help you improve your eCommerce outreach. Before we get there, you must know the benefits of investing time and money on PR strategies. PR is much different from paid media (such as online advertising) where you have control over the messages you distribute. Journalists have their own networks and they are bound by trust, so it is necessary for the journalists to present stories that are relevant and offer value to their audience. The trust would immediately evaporate if the readers find the news presented is just another form of advertising. Moreover, positive publicity is much more precious than advertising – it improves the brand image and brand value. News stories get archived, shared and remembered for long, so the impact on sales by being featured in a TV segment is much higher than being featured in advertisements during commercial breaks. For instance, if your business gets featured in a news segment on The New York Times, the impact on existing and prospective customers would be much higher than being featured as a sponsored ad on a particular. It is a dream for most business owners to get featured on the top media channels, but getting attention from the journalists can be the toughest endeavor. But when done in the right manner, the benefits can be massive. Jet.com did a great job to attract the attention of the journalists. 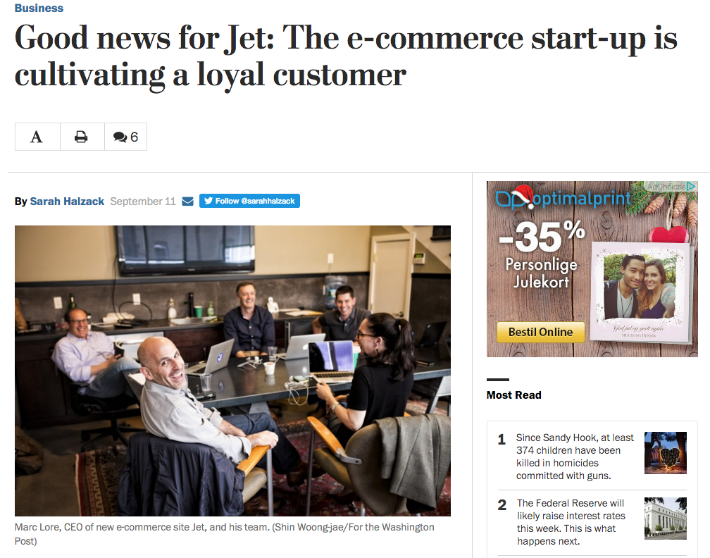 Even though a start-up, Jet.com wrote a story about the new business beating all the odds by establishing itself and becoming a major competitor for the eCommerce giant Amazon.com. The story got a lot of attention from the readers, including some of the journalists and eventually, their story was published on ‘The Washington Post’. And all they did was cultivating the loyal customers through their content. So by doing PR the right way, you can not only retain your customers but also reach the desired place. You can find more successful eCommerce store PR stories here. Now that you understand how important PR can be for your eCommerce business, let’s get into the details of the top 5 PR strategies. Journalists are always looking out for inspirational and interesting stories so that they attract even more attention through their publications or media channels. So by helping the journalists to write compelling stories, you can get the desired attention towards your eCommerce business. HARO, a short form of ‘Help A Reporter Out’ is a platform where the journalists engage in finding out sources they need to complete their news articles. By signing up as a source, you can look out for journalists who cover a topic related to your niche and offer interesting stories about your new products. For instance, if a journalist is looking for information regarding exciting new product launches for New Year, you can discuss your new products that will be launched during the New Year and how they will benefit the journalist’s reader. So you get the desired coverage while the journalist gets something interesting to write about. This particular tactic is known as ‘trading up the chain’. It allows you to create a high-quality piece of content for a blog that attracts the attention of the larger blogs and media outlets. Once your eCommerce business is up and running and you have emphasized on the most interesting aspects, you must then start looking for blogs that have a large reach, especially the media sources. Then you write an engaging content related to the niche of the blog and submit it to publish. Remember, writing an average post will do no good, you must write an interesting or newsworthy post. For instance, Stacey’s Snacks is a very popular branded blog (with about five thousand hits daily) that deals with various kinds of recipes. So, businesses selling kitchen tools and appliances can write interesting recipes for this blog and strategically include the kitchen tools and appliances to promote them. So it is quite possible that journalists covering food-related topics would refer Stacey’s blog and feature one of your posts in their publication. No matter how amazing your business is journalists will be least interested in writing about them if you fail to engage them. So before pitching a journalist, it is necessary that you build a relationship with them and this can be best done through social media. As social media becomes the primary source of news updates for the Americans, more and more journalists leverage the various social platforms. A large number of journalists also look at social media channels for every article they research. In fact, studies reveal that Twitter is the most popular social channel among readers and journalists. So by leveraging your products and services (or your eCommerce business as a whole), you can grab the attention of the journalists as well as their readers. But remember, you can’t just jump into a conversation with journalists or their followers on social media. It is important to understand which journalists are interested in developing a relationship with your brand and the ways to approach them. By successfully engaging journalists on social media, you can influence buyer decisions and improve sales. In this immensely competitive world, you can’t afford to make PR mistakes. So it is necessary that you understand the strong connection between PR and eCommerce and design strategies that would help you reach out to a larger audience and improve the bottom line. Mansi Dhorda works at E2M – A Digital Marketing Agency. A social media enthusiast, she is well-versed in content marketing and other internet marketing niches. You can interact with her on Twitter.